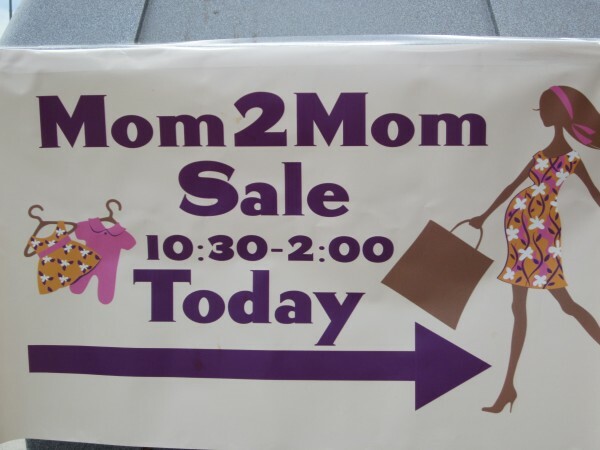 With baked goods and bargains aplenty, Mom2Mom’s (M2M) latest sale was a sweet success. Held at the WFCU Centre’s leisure and sports gyms and Collivino hall, people lined-up from one end of the arena to the other in anticipation. When doors opened at 10:30 a.m., the area soon buzzed with traffic looking for deals and people socializing with others in the community. Beating the rush however, some lucky shoppers also gained early access to the M2M sale. 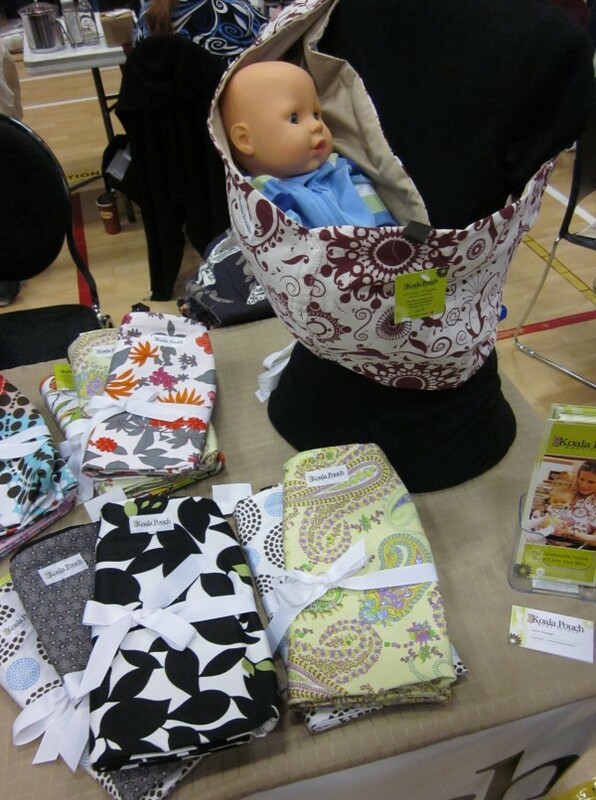 Koala Pouch baby slings were among the many interesting items available for purchase at the M2M sale, courtesy of Karen Driedger. In total, 154 tables showcased gently used clothing, various children’s items and other services. By the time the sale finished at 2 p.m., over 1,400 people had their hand stamped and paid $1 to gain access to the event. Money raised went towards hall rental, advertizing costs, running M2M.com and volunteer rewards – a small price to pay for such variety. 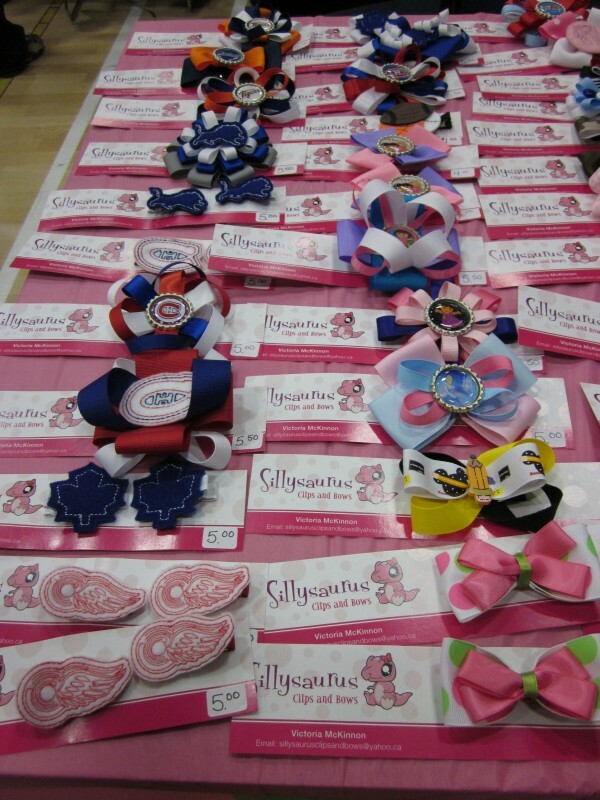 Sillysaurus' Victoria McKinnon had clips and bows that covered a wide audience, from sports fans to Disney princesses. Out of the available spaces in the jam-packed venue, 35 businesses and community organizations took part in the festivities. Those attending included The Cookie Mama, Sew My Gosh, Pixie Glitz, Amherstburg Food & Fellowship Mission, Windsor-Essex County Health Unit – Mothers Supporting Mothers and Riverfront Theatre Co.
As if that weren’t enough, those braving the crowds could also reward themselves with a treat. A bake sale planned by an M2M member in Wisconsin provided plenty of goodies to choose from. 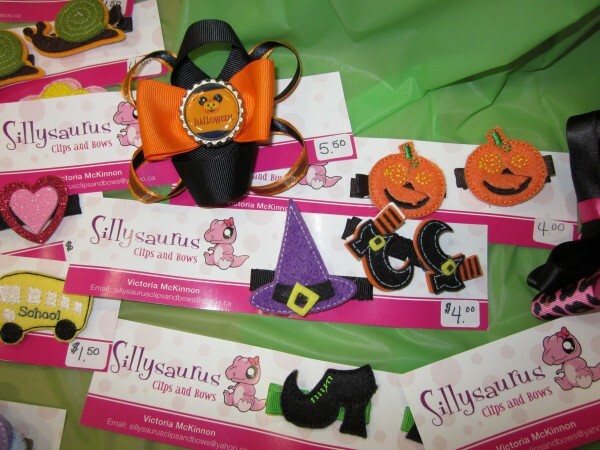 Raising $325, these profits will go towards events like Halloween and Christmas parties for the group. With the latest event in the books, M2M isn’t resting on its laurels either. On October 29, the organization will branch out into the county and debut a new sale at the Kinsmen Recreation Complex in Leamington. Payne also remains grateful for volunteers, friends, family and everyone who helps M2M’s continued success. 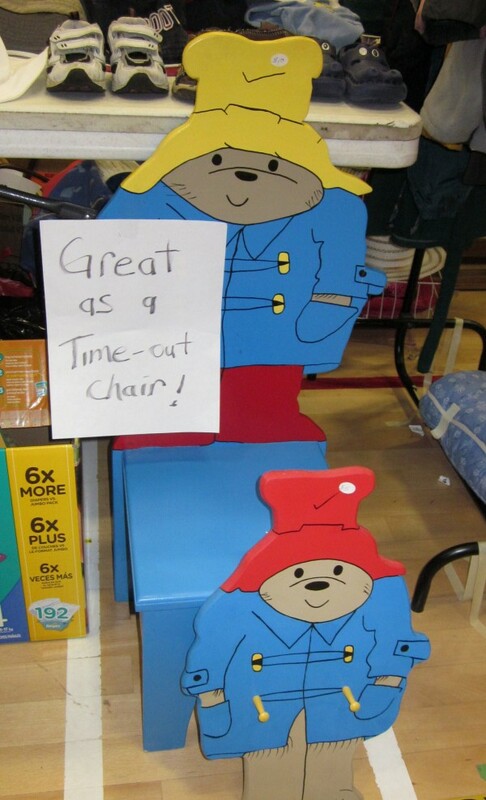 A $10 Paddington bear chair was one of many unique items sold at the Mom2Mom sale. 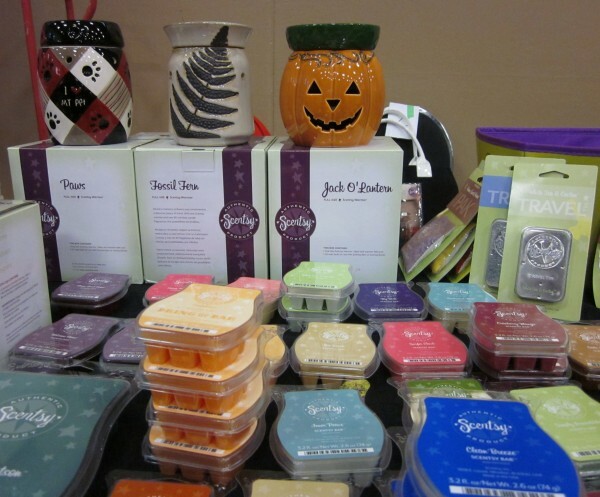 Available from Dawn Frankfurth, these Scentsy products were an alternative to scented candles and use light bulbs to safely melt scented wax. 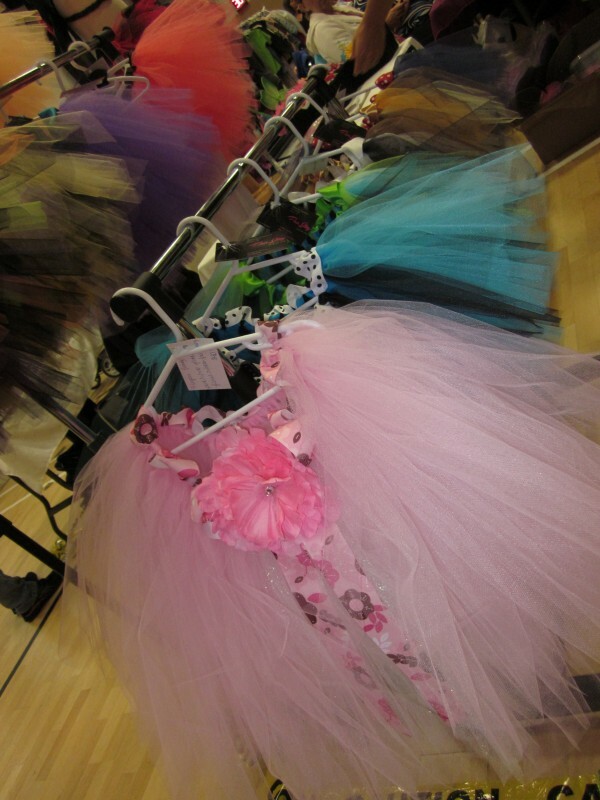 Pixie Glitz had many of its fabulous homemade tutus available at the M2M sale. 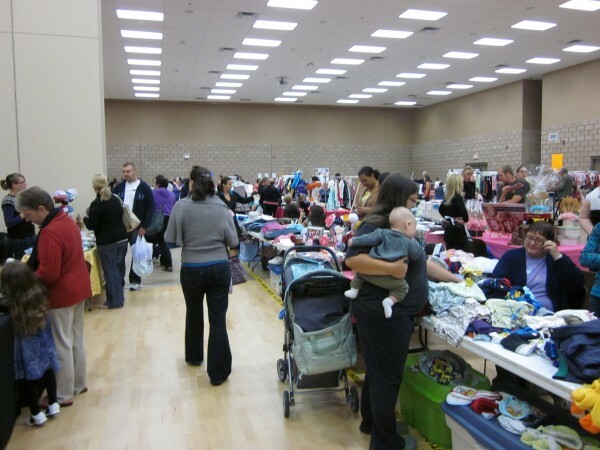 The Mom2Mom sale was busy throughout the day in the sports and leisure gyms and Collivino hall at the WFCU Centre. 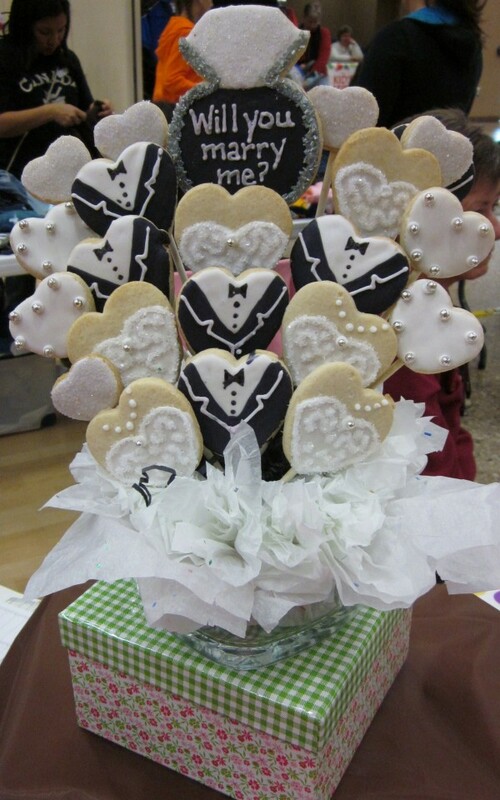 The Cookie Mama, Lia Bennett, offered customers a delicious way to pop the question. 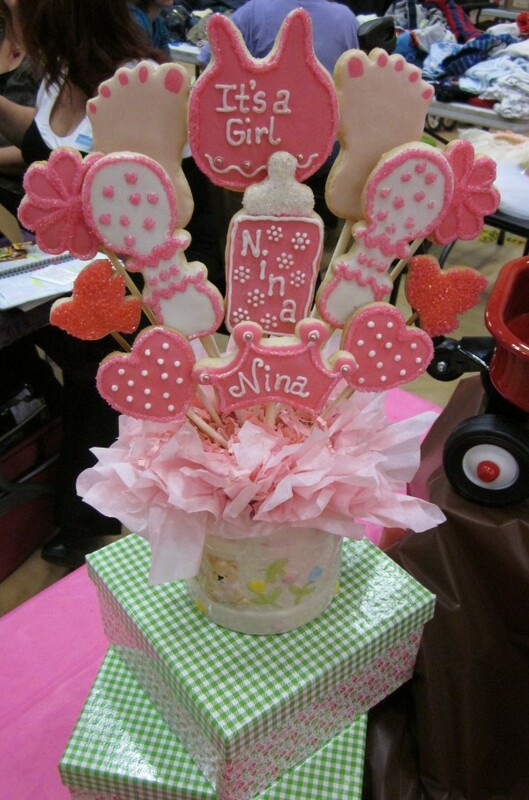 Edible bouquets and free samples made The Cookie Mama's booth a must visit. 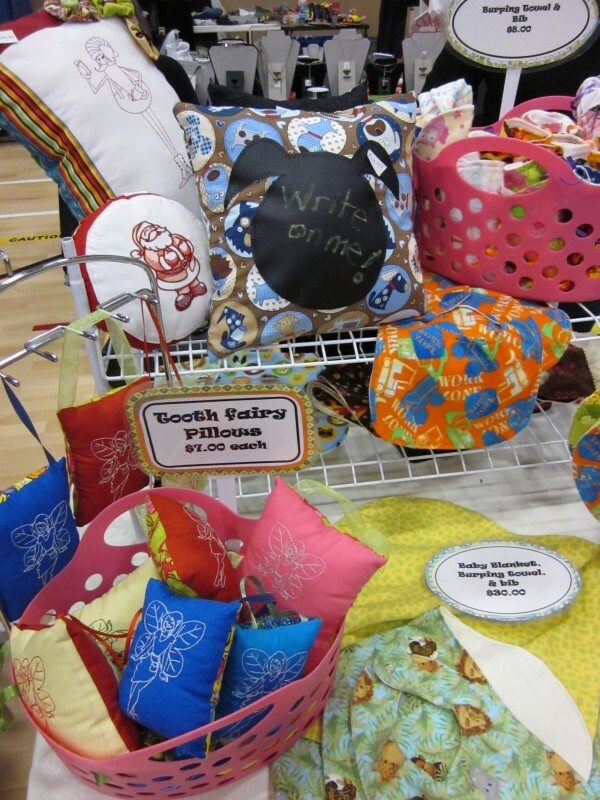 Homemade tooth fairy pillows, blankets, bibs, and pillows made for writing on were some of the things available from Sandra Foster's Sew My Gosh! 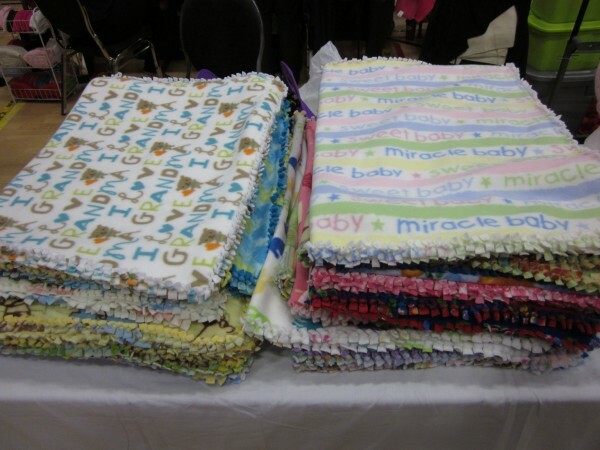 Liz Demarais had many homemade blankets geared towards different loves, from kids to pets to bowling and more.